Late in 1968, a group of like minded people joined the Wellington Technical College (as it was known then) extra curricular squash coaching course being held at Lilleshall National Sports Centre. The coaches were Peter Lancaster up to Christmas and in the New Year John Davies. After the coaching sessions players retired to the bar and during discussions it was felt that a Squash Club should be formed and as they took it forward, the first AGM of the fledgling Squash club was held on the 29th January 1969. Thirteen people attended that first AGM with one apology and the committee was elected together with the officers of the club. The first President was Jim Lane, Resident Director at the Centre, Chairman, Howard Courbet, Secretary, Graham Evans and Treasurer M. Dowling, the committee being made up of Messrs J. Perks, R. Fisher, S. Holt, Dodds and J. Cuffley, the Match Secretary and Club Captain being Harry Parton. The first committee meeting was arranged to be held on the 27th February 1969. The subscriptions for that first year were set at 10s.0d (or fifty pence). Taken at a Wine and Cheese Evening in 1972. From Left to Right: Mike Jordan, Colin Poutney (dec’d), Roger Wedge, Fran Gough (dec’d), Howard Courbet (Chairman) Shirley Bridger, Austin Rhodes (Secretary), Jan Rhodes, Roy Fisher (Treasurer), Mrs Russell and Dave Webb. Over the ensuing years as membership increased, the club was able to field a team in the Midland League together with a second team in the Shropshire League. Subscriptions during the mid 70’s were set at £1, with a membership ceiling of 120 and playing time over three nights. In 1974, the club installed a ticket machine to take control of their own finances, although this move proved to be problematic over the latter years that it was in use, it being the topic for discussion at many committee meetings. During 1975, the committee even looked at the possibility of owning its own premises. Up to this time when a new member applied to join the club his or her name was presented to the committee for acceptance, as far as is known no one was ever turned down. In 1976, with membership rising a waiting list was instigated and this remained in operation for many years. Membership was now at 140. The club was now running one team in the Midland League, two in the Shropshire League and also running a Ladies Team. In the committee meeting of January 1979 it was minuted that the Midlands League team had beat Draycote which was their first win in three years. 1984 saw membership of the club standing at 160, and still there was a waiting list, which saw hopeful members waiting as much as two years to get in to the club. 1986 membership was increased to 200 by inviting the waiting list to join. Play was now over five nights i.e. Monday, Tuesday, Wednesday, Thursday and Sunday. Most of the Midland League matches being played on the Sunday. Many more initiatives have been introduced over the years including coaching for adults and juniors, club clothing and many social events, from Christmas Dinner Dances to Barn Dances, Wine and Cheese Evenings to Beer and Skittles, not forgetting Ten Pin Bowling at Cosford and various Discos. The committee are rightly very proud of the long run of very successful 24hr Sponsored Squash Events and over thirteen years the club raised some £9562 which all went to The West Midlands Sport Association for the Disabled with the exception of £500 which went to a local charity namely The Iron Wills. Members play for individual competition trophies annually, two of which have been named after members who both sadly passed away while playing squash, namely the Andy Sliwa Trophy and The Dave Fox Trophy – both members are still sorely missed, however their names are perpetuated through these trophies. In addition, the Veterans Trophy, which was formerly contested by club members over the age of 55, was renamed the John Perry Trophy in 2014 following John’s sad and sudden passing in December 2013. The tournament has since switched over from squash to racketball (handicapped) and is enjoyed by all members of the club irrespective of their age. John is missed by many members of the club and those who came in to contact with John have memories of a very sociable, friendly & considerate gentleman, someone with whom it was easy to be a friend. At the present time the club is once again in a buoyant position, having come through a very bad patch in the late 90’s when membership slipped to under 30, with the inevitable dire financial implications, but with the stoic attitude of the committee the club was saved and the club has now turned full circle. Over the years the club has seen, 60 committee members, 7 Chairmen, 3 Secretary’s and 3 Treasurers together with numerous other posts i.e. Presidents, Club Captains, Match Secretary’s, who have all committed themselves totally to the smooth and efficient running of the club and also ensuring its welfare for the future which will hopefully continue for many more years. 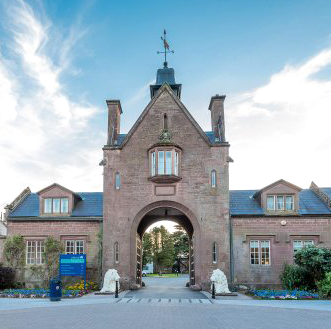 As long as the Lilleshall National Sports Centre is operational, then Lilleshall Squash & Racketball Club will maintain its presence.